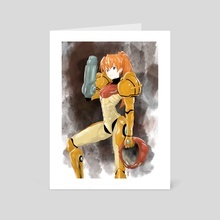 Neon Genesis Evangelion's Unit 02 pilot Asuka Langley Soryu suited up as the bounty hunter Samus Aran from Metroid. Hi, my name is Frank Acevedo, an artist born and raised in Southern California and currently residing in Washington. I went to Cypress Community College in California to study animation and character design after tour of duty in the United States Army. 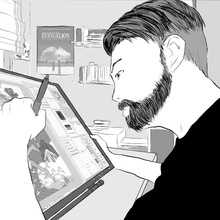 I'm currently a freelance illustrator.